John Mueller and Mariya Moeva, Webmaster Trends Analysts with Google, did a virtual keynote with Stone Temple all about mobile search. And one of the more interesting stats shared was about the differences between typed and voice queries. Moeva said that when someone does a voice search, Google sees about 30 times more action queries compared to queries that a searcher types in. Yes, so, we’ve got a lot of, a huge increase in voice queries because as people are using their phones more, and a more natural way to interact with it is by speaking what they need. And we are seeing that around 20% of the queries on the Google app on phones are now voice queries. As well as out of voice queries as a total thing, we get about 30 times more action queries by voice than by typing. So there is definitely a shift happening. 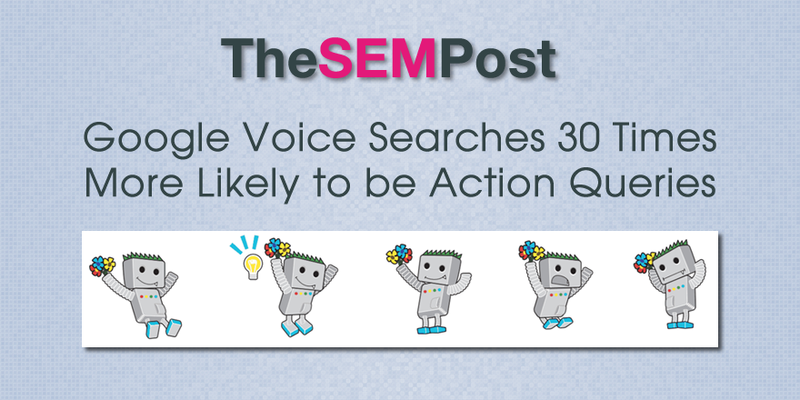 Because we do not have access to specific voice queries via Search Analytics, this definitely should make SEOs think about how voice searches could be influencing at least some of the content that a site is creating, content with more of an action query oriented spin. And voice queries are expected to rise – Gary Illyes said earlier this year that Google has seen the number of voice queries has more than doubled in the last year. There is still hope we may get access to voice query data in the future, something Moeva confirmed again they are looking at. But John Mueller has commented about the problems with this, one of the significant ones being that many voice search queries are unique.